Blogger threatened by Taylor Swift: "We’re not going to back down"
"Free speech is important," Meghan Herning tells Salon. "Journalists need to stand up for their legal rights. If those messages can get across, that’s all I care about." Herning is the author behind the September 5 article titled "Swiftly to the alt-right: Taylor subtly gets the lower case kkk in formation," posted to PopFront, a blog covering politics, culture and activism from a leftist perspective. In the article, Herning expresses her feeling that Taylor Swift has been uplifted as "an icon of white supremacist, nationalists, and other fringe groups," linking to other news outlets that have covered the ways in which those movements have adopted Swift's lyrics and image. From there, she explores the history of the American eugenics movement, World War II and Nazi sympathy in the U.S., and the current wave of white supremacy. Throughout, Herning asks why the singer has largely refused to denounce or address the phenomenon. She concludes that "Taylor’s silence is not innocent, it is calculated." She adds "in America 2017, silence in the face of injustice means support for the oppressor." About a month after she published the article, Herning received a cease-and-desist letter from Taylor Swift through her attorney William J. Briggs, II. In the letter, Briggs called the article defamatory and demanded that PopFront issue a retraction. "We’re a small media outlet," Herning tells Salon. "I use the term media outlet loosely even." Indeed, at the time Herning received Brigg's letter, PopFront had less than 80 Twitter followers. "I never would [have] imagined that they would have seen this at all," she says. "I thought it was really interesting, because we’re far from the first person that’s talked about it, so I didn’t even really think the piece was that controversial." Herning, who just graduated from law school a year ago, reached out to the American Civil Liberties Union for support after she received Briggs' letter. Since then, the ACLU has released a six-page response to the cease-and-desist, addressing every single argument it makes, using references to Swift's songs. "Criticism is never pleasant, but a celebrity has to shake it off, even if the critique may damage her reputation," the ACLU wrote, using one of Swift's hit song titles and the name of her new album. "Ms. Herning and PopFront will not in any way accede to your attempt to suppress their constitutionally protected speech," the statement reads. The ACLU sees Herning's article as a "critical opinion piece" protected by the constitutional right to free speech. "The First Amendment sets a very high bar for defamation claims by public figures, whether it’s politicians or pop stars," Matt Cagle, policy attorney for technology and civil liberties at the ACLU of Northern California told Salon. "The First Amendment is designed to protect people’s ability to criticize the powerful, and that’s exactly what happened here. Our blogger published something and she received a legal threat." Given that Vice's Broadly, and other much larger outlets, have published pieces similar to PopFront's, Herning says she can't help but assume that Swift and her counsel decided to take action against PopFront because of its size, something she finds "offensive and disappointing." "I think because we were small, they didn’t think that we would take their legal threat seriously and just take the piece down," she says. "I think that they went after a small outlet because we don’t have general counsel that I could go talk to. We’re not the Huffington Post." There is no word as of yet on whether Swift's representatives have also reached out to those larger outlets concerning their coverage. 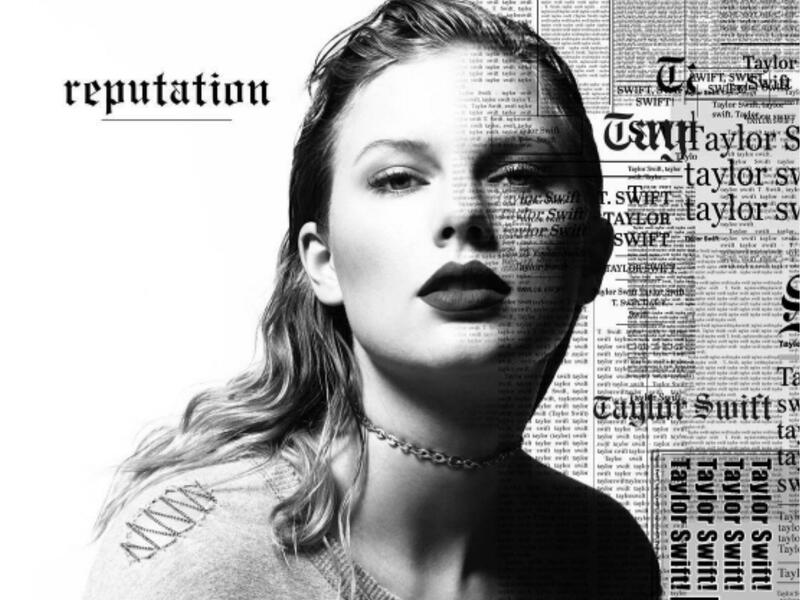 Herning also wonders if Swift's new album "Reputation," which arrives in three days with theme, cover art and lyrics that appear to confront the media for its critical coverage of the singer, was a motivating factor. "I think that it says a lot about how carefully she follows her image," Herning said of the cease-and-desist letter. "I can’t assume her political leanings," she says of the album cover, "but if nothing else, it’s pretty naive and tone deaf." Cagle says the legal threat by Swift's team may be indicative of a larger trend "where the powerful are using the legal system and legal threats to silence critics." He adds, "But that sort of criticism is exactly what our First Amendment protects, and that’s why the ACLU got involved here." Herning adds, "The media is under attack every single day from the president and the highest branches of government. . . . The president can’t control what media outlets are saying," she says, "and neither can Taylor Swift." "I see a lot of similarities between her and Trump," Herning continues, "with attacks on the media, the ways that they always want to play the victim, and also, just generally, this sense of white infallibility, because they are who they are, they can do whatever they want, and it’s fine." One of the most remarkable components of Brigg's letter was a passage that reads, "Let this letter stand as a yet another unequivocal denouncement by Ms. Swift of white supremacy and the alt-right." The letter adds that publishing this letter, and its repudiation of the "alt-right," would be "a violation of Copyright Act." Herning found it "contradictory," while Cagle said it was a threat that the ACLU thinks "was designed to silence our client." Cagle continues, "We think this particular practice is unacceptable, it’s unsupported by copyright law, and when it’s deployed by the powerful, it can really lead to the silencing of critical opinions, particularly where the speaker lacks legal resources or the ACLU’s help." Neither Herning nor Cagle have heard any response from Swift or her team yet, though Cagle says, "We’re hopeful that Ms. Swift will walk away from these unsupported claims without any further legal action." Salon also emailed a representative of Swift, but has received no response as of press time. Again, for Herning, it's a matter of principle. "I made the choice that I think that my media outlet needs to stand up to this and that we’re not going to back down," she says, "because it’s totally bulls**t."